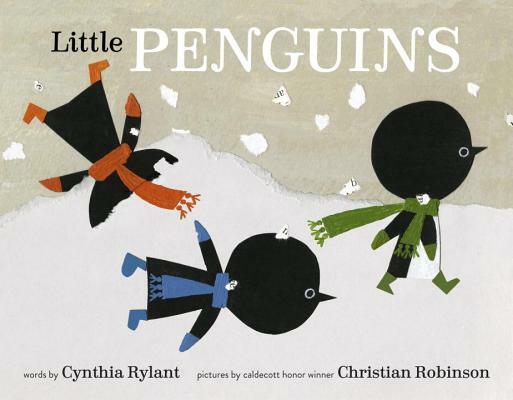 Newbery Medal�"winning author Cynthia Rylant and Caldecott Honor-winning, bestselling illustrator Christian Robinson pair up to tell this wintry story about five little penguins enjoying a snowy day. Snowflakes? Many snowflakes. Winter is coming. So begins this ever-so-simple story. As the snow starts to fall, the excited penguins pull out scarves, mittens, heavy socks, and boots, and Mama helps them bundle up. But when it's time to go out, one timid penguin decides to stay home. Filled with waddling baby penguins, playful text, and delightful illustrations, this book feels like a young picture-book classic in the making.